First of all, I want you to know that I’m glad you’re here! I help people make peace with themselves, their relationships, and their pasts, so they’re no longer held back from moving forward in their relationships and lives. What sets me apart from other therapists is my ability to help you feel safe and comfortable, while still challenging you to really work through your core issues on a deep enough level to experience lasting changes. If you’ve tried therapy before, you probably already know how important it is to feel like your therapist really “gets” what you’re going through, is willing to talk directly with you about the stuff you try to hide from the world but that you do need to actually talk to someone about, and understands that although it may be easy to give advice and solutions, that’s not really what you need (because if change was that simple you would have fixed your problems by yourself a long time ago). If you haven’t tried therapy before, you may feel a fear of being judged or of admitting that you need help from a professional (at first). People can have all sorts of ideas in their head about how scary it will feel to actually attend a therapy session! I will be sensitive to your feelings of exposure, won’t judge you, and will help you get through it. You’ll see, it will be way more comfortable than you think! It’s important for you to know that the people who work well with me are not looking for a quick fix and are prepared to come regularly every single week, even when they’re mad at me or tired or just don’t feel like it, because the consistency and effort are what will create real and lasting changes. If you can come more than once a week, you will get even better and faster results, sort of like if you only go to the gym once a week, you get different results than if you go more often. People who are conscientious and who constantly push themselves to keep growing tend to work best with my approach. There are a lot of stereotypes out there about therapy. You may also have had negative experiences in the past. I hope if this is you that you will let me know your concerns so I can understand them. What I really want more than anything is to give you a place to be real. Really real. (I mean it). This is my life’s work and my calling, to give people a place where they can say whatever needs to be said without fear, shame, or feeling like they have to censor themselves in order to protect other people from their feelings. And so, from the moment you come in to see me, I’ll be very direct with you, and instead of making small talk, we’ll cut right to the chase, okay? It’s because I want to give you a place to have a different kind of conversation than you get to have everywhere else. I may challenge you at times because I want to help you free yourself from the stuff that’s keeping you stuck. But I will never shame you and I will not judge you. I will also help you get comfortable talking about stuff that may initially feel embarrassing or awkward, because I know that once you warm up to talking about the stuff that’s hard to talk about, you will feel much better. The things I help people with get called by all sorts of names, such as: depression, anxiety, dealing with dysfunctional families, co-dependency, PTSD, communication issues, infidelity, anger, trauma narcissism, borderline personality, denial, alcoholism, food addiction- you name it. But whatever words we use, the bottom line is that you’re an individual and whatever you’re struggling with is so much more than can ever be captured with a word or label. Would you like to talk about coming in to do some therapy work together? Relationship Issues, such as: trust difficulties, communication problems, feelings of disconnection, or constant fighting. I work with both couples and individuals to help them break free from unhealthy cycles of interaction and reestablish feelings of closeness, safety, and security in their relationships. 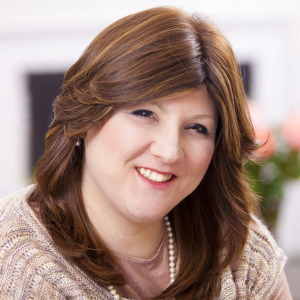 I also offer consultations to help people understand difficult relationship dynamics better, as well as to identify effective ways of interacting with difficult family members. Obsessive Compulsive Disorder, in which a person becomes afraid of or preoccupied with obsessive thoughts about feared events such as: making a mistake; having contact with germs; committing a sin; hurting someone such as one’s child (or violent fantasies/images that come into one’s mind); and losing control in some other way. Panic Disorder, in which a person experiences physical symptoms of panic, such as dizziness or a racing heart, without an apparent cause; often this person then becomes afraid of the panic attacks themselves, trying to avoid situations in which a panic attack may occur. Post-traumatic Stress Disorder, in which a person tries to avoid feelings and memories associated with a past traumatic event, either by trying to avoid situations that remind the person of the past trauma or by reliving the event as if it’s happening over and over again in the present (rather than thinking about and processing the event as something that has happened in the past but is now over). Personality Issues such as: Borderline Personality Disorder, dealing with difficult people, commitment fears in relationships, and personality splits (opposite extremes in one’s feelings and relationships). I also invite you to read some of my blog posts to get a feel for some of my work. My general approach is psychodynamic. This means that I will help you identify patterns of feelings, behaviors, and relationship themes that may be out of your awareness but are influencing a lot of your behaviors, motivations, difficulties, and choices. We will explore how these connect to past experiences and how resolving them, in the therapy relationship as well as outside of it, can help you have a greater sense of well-being and freedom from symptoms and struggles that you are having. In addition to providing psychotherapy, Goldstein Therapy offers clinical, neuropsychological, and forensic evaluations by Dr. Erik Dranoff. For more information about these services, please click here. 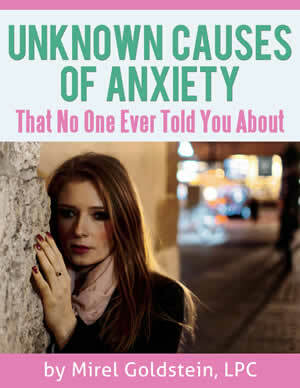 Get the Unknown Causes of Anxiety eReport for FREE (Just enter your name and email address below). 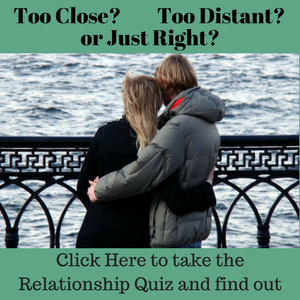 Take the Relationship Closeness Quiz for FREE (Just click below).